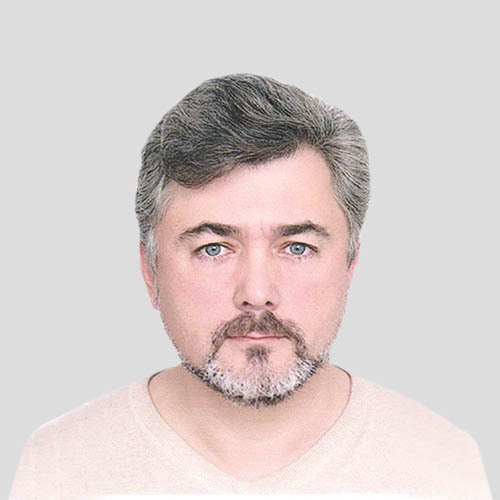 Head of the Laboratory of the Molecular Biology of Stem Cells in the Institute of the Cytology RAS (St-Petersburg), Russia Corresponding Member of the RAS, Expert of the Presidium of the RAS programme “Fundamental research for the development of biomedical technologies”. The laboratory, established in the Institute of Cytology in 2006, has broad interests in cell and molecular biology with a primary focus on pluripotent stem cells, such as embryonic stem (ES) and induced pluripotent stem (iPS) cells. Work is focused on the molecular mechanisms of stem cell maintenance and development, however, there are increasing efforts on developing applications of pluripotent stem cells in clinics. Nazarov I, Chekliarova I, Rychkov G, Ilatovskiy AV, Crane-Robinson C, Tomilin A. (2016) AFM studies in diverse ionic environments of nucleosomes reconstituted on the 601 positioning sequence. Biochimie 121: 5-12. Liskovykh M, Ponomartsev S, Popova E, Bader M, Kouprina N, Larionov V, Alenina N, Tomilin A. (2015) Stable maintenance of de novo assembled human artificial chromosomes in embryonic stem cells and their differentiated progeny in mice. Cell Cycle 4(8):1268-73. Kulichkova VA, Artamonova TO, Zaykova JJ, Ermolaeva JB, Khodorkovskii MA, Barlev NA, Tomilin AN, Tsimokha AS. (2015) Simultaneous EGFP and Tag Labeling of the b7 Subunit for Live Imaging and Affinity Purification of Functional Human Proteasomes. Mol. Biotechnol. 57(1): 36-44. Kouprina N, Tomilin A, Masumoto H, Earnshaw WC, Larionov V. (2014) HAC-based gene delivery vectors for gene function studies, gene therapy and pharmacology. Expert Opin. Drug Del. 11(4): 1-19. Davydov-Sinitsyn A. P., O. V. Bazhenova, M. A. Liskovykh, L. L. Chechik, S. V. Ponomartsev, A. N. Tomilin, E. N. Tolkunova (2013) In vitro derivation and characterization of a colorectal cancer stem cell subpopulation. Cell and Tissue Biology 7(4): 320-324. Liskovykh M., A. P. Davydov-Sinitcyn, E. V. Marilovtceva, A. N. Tomilin, E. N. Tolkunova (2012) Interaction between the CDX2 transcription factor and DDX5 protein. Cell and Tissue Biology 6(1): 20-28. Liskovykh M., Chuykin I., Ranjan A., Safina D., Tolkunova E., Minina J., Zhdanova N., Dyban P.A., Mullins J.J., Kostyleva E.I., Chikhirzhina E.V., Bader M., Alenina N., Tomilin A. (2012) Generation of rat-induced pluripotent stem cells: Reprogramming and culture medium. Cell and Tissue Biol 6(2): 115-121.